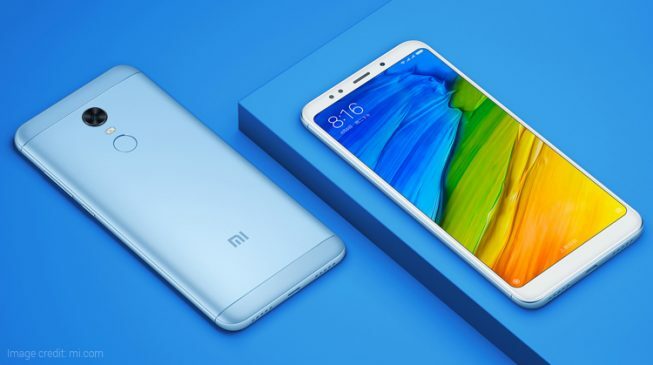 After months of speculation, Xiaomi has finally unveiled its two new budget smartphones- the Xiaomi Redmi 5 and Redmi 5 Plus at a launch event in China. Both smartphones come with the new 18:9 aspect ratio display while being powered by Qualcomm Snapdragon processor. The specs on both smartphones are nearly identical however, there are some noticeable differences. Let’s talk about the brand new Xiaomi Redmi 5 and Redmi 5 Plus in brief. The Redmi 5 has a bezel-less 5.7-inch HD+ 18:9 display with a resolution of 720 x 1440 pixels. Under the hood, you get a Qualcomm Snapdragon 450 processor clocked at 1.8 GHz coupled with 2GB/3GB RAM and 16GB/32GB internal storage that supports memory expansion via a microSD card. It is backed up by a 3300mAh battery and runs on Android 7.1 Nougat with MIUI 9 on top of it. In the optics, the Redmi 5 packs a 12MP rear camera with f/2.2 aperture, 1.25 µm pixel, PDAF and LED Flash. For selfies, the phone has a 5MP front-facing the camera with soft-light selfie flash and Smart Beauty 5.0 for capturing better selfies. The Redmi 5 Plus comes with a slightly larger 5.99-inch FHD+ display with a resolution of 1080 pixels by 2160 pixels and an 18:9 aspect ratio. The phone is powered by 2.0 GHz octa-core Snapdragon 625 processor with 4 GB of RAM and 64 of internal storage that can be expanded up to 256 GB via a microSD card. It includes battery capacity of 4000mAh and runs on Android Nougat OS with MIUI 9 skin on top. Interestingly, both the smartphones share similar camera specs. It also packs in a 12MP rear camera with f/2.2 aperture, 1.25 µm pixel, PDAF and LED Flash. And there is a 5MP front-facing camera with soft-light selfie flash and Smart Beauty 5.0. On the pricing point, the Redmi 5 is priced at CNY 799(Rs.12,475) for 2GBRAM/16GB storage variant and CNY 899(Rs.14,035) for the 3GBRAM/32GB variant while the Redmi 5 Plus will cost CNY 999(Rs. 15,595) and CNY 1299(Rs. 20,280)for the 3GB/32GB and 4GB/64GB variants respectively.Both handsets come in four colour options – Black, Gold, Light Blue, and Rose Gold. The Xiaomi Redmi 5 and Redmi 5 Plus will go on sale on December 12 in China. No word yet on the availability of the phones on other markets outside China including Nepal.